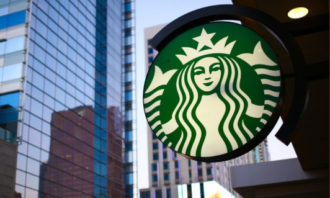 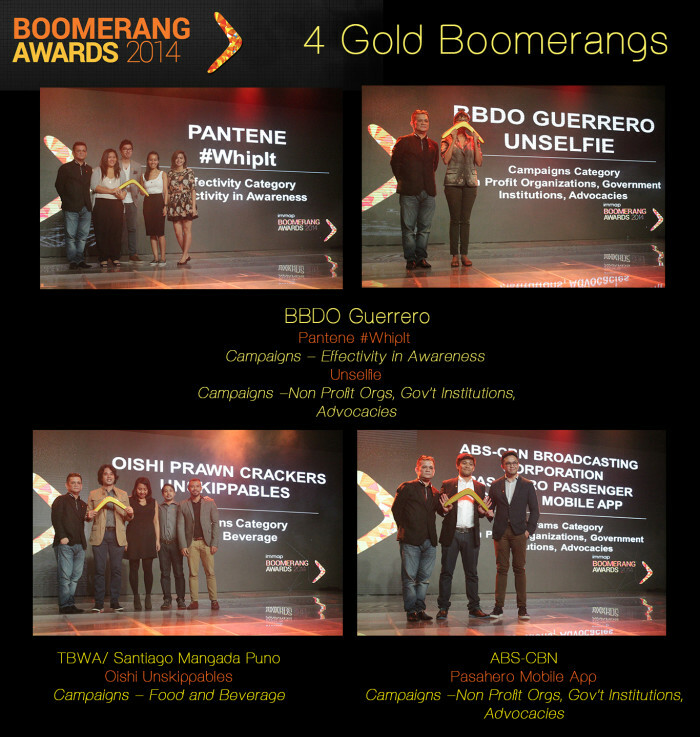 BBDO Guerrero has won two out of the four gold boomerangs at the 2014 Boomerang Awards of the Internet and Mobile Marketing Association (IMMAP). 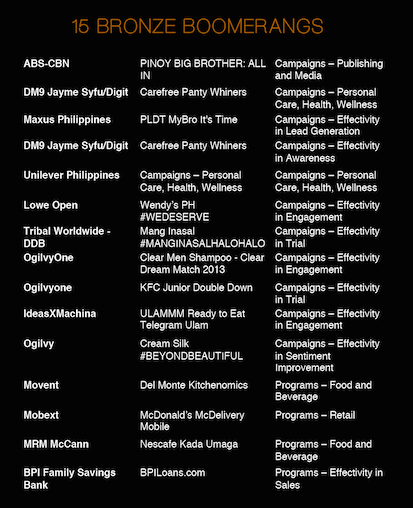 The viral #WhipIt campaign for Pantene claimed BBDO’s first gold for Campaigns – Effectivity in Awareness and the Best in Strategic Excellence award while its Unselfie advocacy for Typhoon Yolanda last year earned their second gold for Campaigns –Non Profit Organizations, Government Institutions and Advocacies. 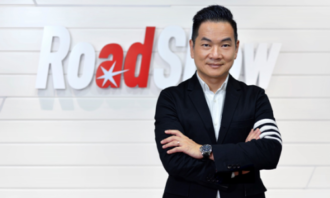 Oishi Prawn Cracker’s “Unskippables” led Omnicom sister agency TBWA Santiago Mangada Puno to win gold for Campaigns – Food and Beverage and also the Best in Creative Excellence. 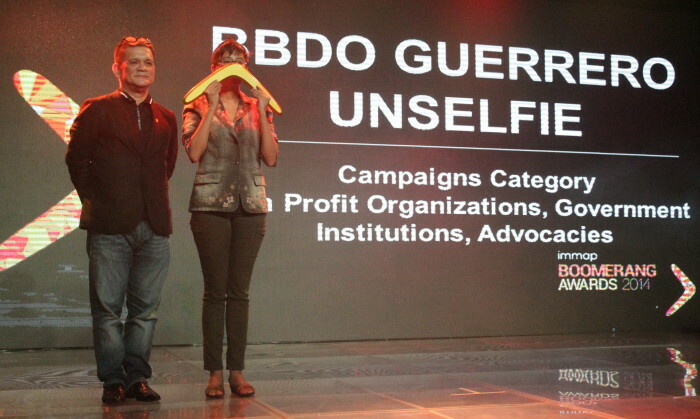 ABS-CBN’s Pasahero Passenger Safety caught the fourth Gold Boomerang for Programs –Non Profit Organizations, Government Institutions and Advocacies and Smart Communication’s Special Award for Mobile. 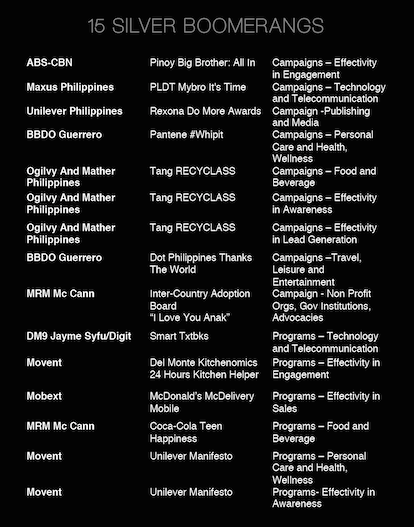 Lastly, the coveted Outstanding Business Results award went to Maxus Philippines and the PLDT MyBro ‘It’s Time’ campaign, which also won silver for the Campaigns- Technology and Telecommunication category. 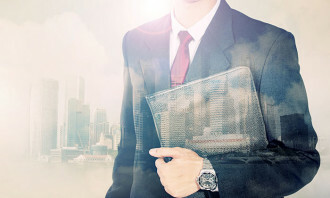 The partnership will see RadiumOne’s proprietary mobile and sharing analytics software deployed across Amnet‘s clients, complement..